What is the Lin - Rodnitzky Ratio? Times have changed, of course. Modern marketers have access to oceans of data on everything from impressions to brand awareness, customer retention rates and lifetime value. Fluency in these metrics and an understanding of statistics is fundamental to growing a career in marketing. With all those metrics, “how’s the campaign doing” should be a lot easier to answer. But a lot of the time, it isn’t. There’re so many ways to answer the question, and things can get muddy. Wouldn’t it be great to have a single simple metric to monitor? A metric that’s high-level and easy to understand, yet data-driven and accurate? Happily, this metric exists. It’s the Lin/Rodnitzky ratio, developed by the founders of 3Q digital, Will Lin and David Rodnitzky. We’ll refer to it as the “L/N ratio” for the rest of this post. What is this marvelous metric? The L/N ratio compares the total cost of conversions in a campaign vs. the cost of traffic from keywords that convert at least once. For example, an L/N ratio of 1 means that every search query triggering an ad has at least one conversion. On the other hand, an L/N ratio of 6 means that you are paying for clicks from six search queries that never convert for every query that does. You can use the L/N ratio to assess whether opportunities are likely being missed, or if money is being wasted on too irrelevant traffic. It’s a really nice, at-a-glance way to assess how a campaign is doing. Too low: L/N ratio from 1.0 to 1.5 means that every search term, or almost every search term, is converting at least once. This indicates a very conservative campaign with narrowly defined keywords. If this campaign is not intentionally specific, such as a branded campaign, you are likely missing conversion opportunities by restricting traffic too much. The sweet spot: L/N ratio from 1.5 to 2.0 means that the account is nicely balanced, and gets a nice variety of traffic without being either too conservative or too aggressive. Getting a bit aggressive: L/N ratio from 2.0 and 2.5 means that the account is drifting away from the sweet spot and should be tightened up before money is wasted. Too high: L/N ratio above 2.5 means that the account is wasting a lot of money on non-converting traffic. It’s easy to calculate the L/N ratio for any of your accounts. The first step is to make sure the account is tracking conversions. 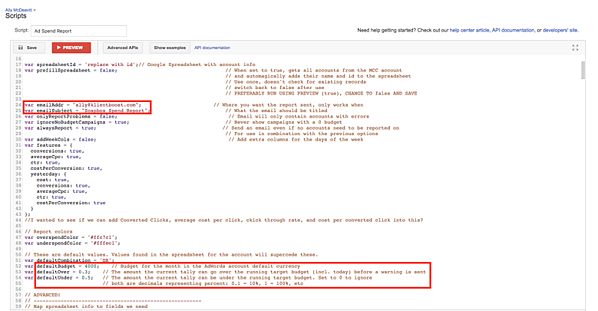 Create a conversion action in AdWords, which prompts AdWords to generate a special snippet of code. Place the snippet of code on your website. AdWords recently rolled out its updated UI to all users. 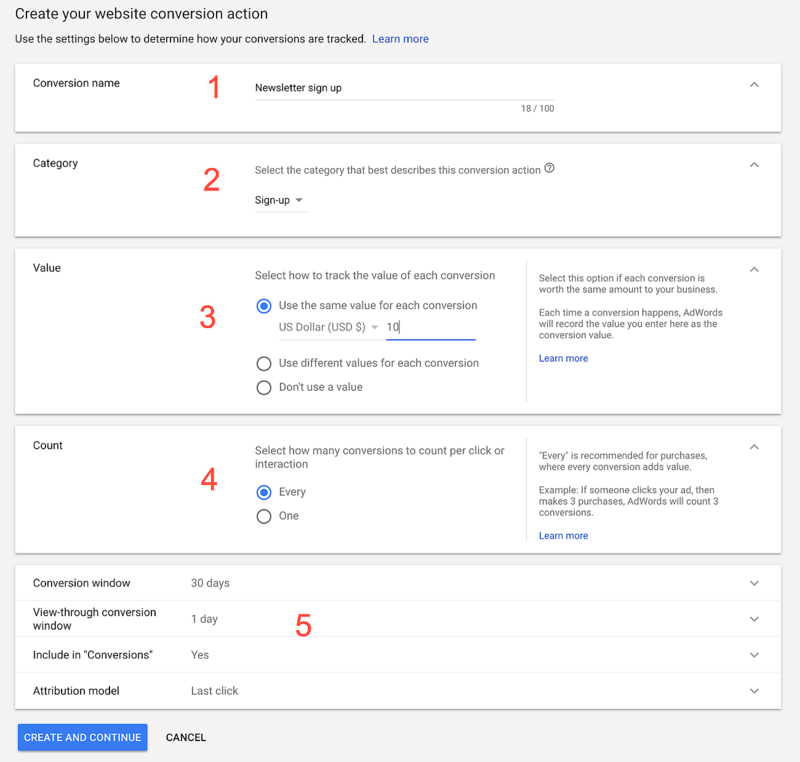 Use it to set up a conversion action by signing into your AdWords account and clicking the tool icon in the upper right. In the menu that appears, find the measurement headline, and click conversions. You’re now at the list of conversion actions. Click the big “plus” button to add a new one. You’ll be asked what kind of conversion you want to track. Click “website” on the left hand side. You’ll now fill out a form that describes the conversion you want to track. Conversion name. Enter a name that describes the conversion you’re tracking. We entered “newsletter sign up,” but it can be anything. Category. Select from the drop-down list the type of conversion you are tracking. This groups similar conversions together for easier reporting. Value. Enter a monetary value for the conversion, if you have one. You can use the same value for every conversion, or you can use a different value per conversion. Using a different value requires that you set up transaction-specific values. Count. You might be tracking multiple conversion actions after an ad is clicked. You have the option of counting every action as a conversion, which is usually best for sales. Alternatively you can count one conversion per ad click regardless of the number of subsequent conversion actions, which is usually best for tracking leads. Conversion window. How long to watch for a conversion action after the ad click. View-through conversion window. A “view-through” conversion happens when user saw an ad on the display network but didn’t click on it. The same user subsequently converts at some point in the future. This setting selects how long to watch for a view-through conversion. Select in “conversions. 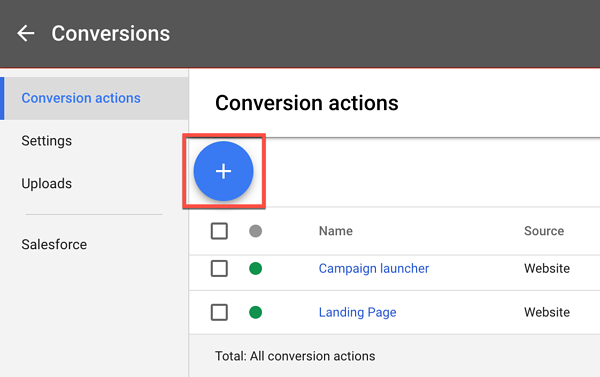 By default, the conversion action you are creating will appear in your conversion reports, but you can change that using this setting. Click create and continue at the bottom of the page. Once you set up your conversion action, two snippets of code will be generated. You need to place these on the website on which a conversion will take place. The first bit of code is called a global site tag. It’s placed in the <head> section of your website. The same global site tag should be placed on every page of your website that you wish to track. The second bit of code is called the event snippet. You choose whether you want to track website visits as a conversion (how many visits to a landing page) or if you want to track clicks on a link or button as a conversion. This is the code that tracks a specific conversion action, and is placed in the <head> tag right after the global site tag. There’s two ways to track conversions. One way is to track visits to a website that appears after a conversion (a “landing page”), such as a thank you page. The other way is to track when someone clicks a link or a button on your site. You may want to track clicks as conversions if the landing page is unavailable (such as a third party payment page) or doesn’t exist (such as when a click downloads a file or prompts a call). Once you have conversion tracking set up, you want to gather at least a couple weeks’ worth of data so that your calculations are statistically significant. Without the two weeks, your L/N calculation isn’t likely to be meaningful, and can cause you to make mistakes with your campaign configuration. To get conversion data by search query in the new AdWords UI, click keywords on the left hand menu. Next, from the top menu, select search terms. Also, make sure you have a date range of at least two weeks. Now you have a report that contains all the search queries for the selected time period. You now want to filter these results to show only those queries that generated at least one conversion. The filter dropdown will appear. Click it and select conversions. You’ll be prompted for a number of conversions. Select the greater-than symbol, type 0 into the field, and click “Apply.” Now you have a filter that will show only those search queries with at least one conversion. The columns will appear on the far right of the report, be sure you can see them so that you can calculate the L/N ratio. Now! You’ve filtered your report to show only those search queries that had at least one conversion, and you’ve added the cost per conversion columns to your report. Now you can scroll down to the bottom of the page and see what’s what with cost. 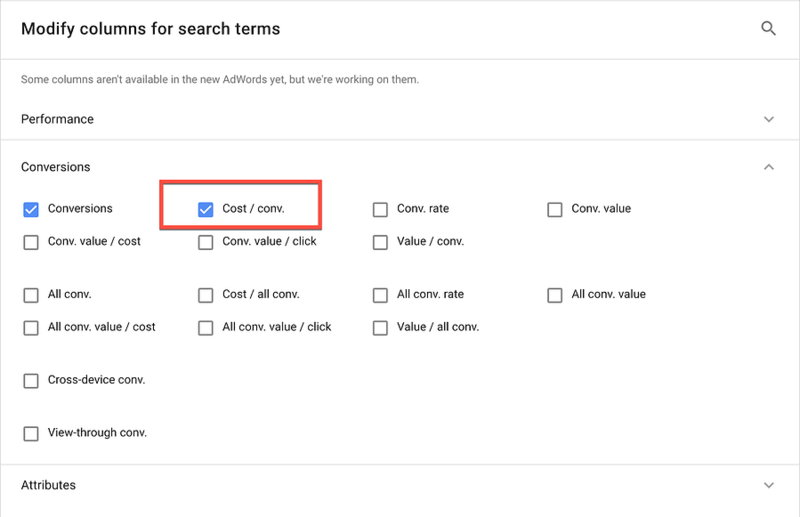 At the bottom of the report you will see the total cost of your filter (the cost for the traffic from search queries that got at least one conversion) as well as the overall cost per conversion. And you have your L/N ratio! In the case of this example, the L/N ratio is pretty bad: 9.6. This account is wasting a lot of money and should be optimized immediately. The beginning of this post discussed the rules of thumb when it comes to the L/N ratio: too low and the campaign is likely too conservative. Too high and you are likely wasting money. Like any high-level metric, this is meant to be a general indicator. If your L/N ratio is too high, you should look at those search queries that eat up a lot of budget without driving conversions. If the search term is irrelevant to your business, you should negative match it. This way you can immediately improve the performance of your campaign and lower your L/N ratio. If the search term is expensive but is generating some business, consider lowering the bid for the term instead of negative matching it altogether. On the other hand, if your L/N ratio is too low, you can increase the bids for search queries that are underperforming. You can more easily maintain a healthy overall L/N ratio by using an Alpha/Beta campaign strategy. The Alpha/Beta strategy is a two-campaign system with one campaign (the “beta”) containing broad match keywords. 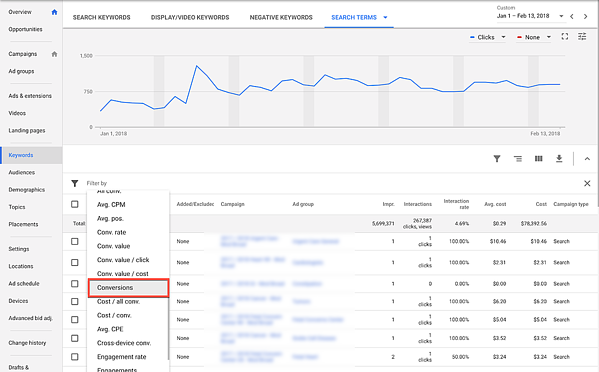 High-performing search queries are placed in the Alpha campaign. By adjusting the budget between the Alpha and Beta campaigns, you can manage your investment between exploration for new keywords and harvesting proven performers. An AdWords campaign is complex and has many moving parts. The L/N ratio is a great general barometer for the health of your campaigns, but it’s only one tool. To ensure you get the most for your AdWords budget, be sure and familiarize yourself with best practices for campaign structure, keyword discovery, ad copywriting, and landing page design.